This book describes recent theoretical findings relevant to bilevel programming in general, and in mixed-integer bilevel programming in particular. 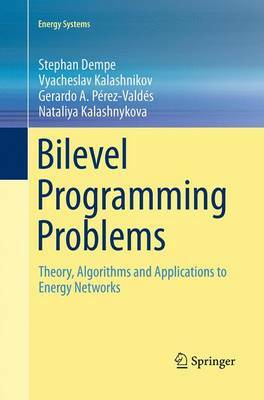 It describes recent applications in energy problems, such as the stochastic bilevel optimization approaches used in the natural gas industry. New algorithms for solving linear and mixed-integer bilevel programming problems are presented and explained.